• Panting For Glory: The Mississippi Rifles in the Mexican War by Richard B. Winders (TAMU Press, 2016). Every student of the U.S.'s 1846-48 war with Mexico is familiar with the exploits (most famously at the Battle of Buena Vista) of the 1st Mississippi Rifles, and Civil War readers know from countless references in the literature that Jefferson Davis was the colonel of the regiment. The same cannot be said for popular knowledge of the 2nd Mississippi Rifles, which saw little fighting during its own Mexican War adventure and went home in obscurity. Richard Winders's Panting for Glory "uncovers the contrasting wartime experiences" of the two units. It "compares these regiments to show that the contours of history were sometimes arbitrary and that military historians, in their analysis of failure, should take into account a wide range of factors that influence outcomes, not merely records of wins and losses." • Bluff, Bluster, Lies and Spies: The Lincoln Foreign Policy, 1861-1865 by David Perry (Casemate, 2016). Scholarly interest in Civil War diplomacy seems to be on the upswing. At the turn of the last century, Dean Mahin's well regarded One War at a Time exposed a wide Civil War readership to the subject of international relations, and since then we've seen other books that explore Union and/or Confederate diplomacy from Howard Jones, Amanda Foreman, Wayne Bowen, and others. Being generally unfamiliar with the aforementioned works, a quick skim of the introduction to David Perry's Bluff, Bluster, Lies and Spies leaves me uncertain regarding how his work might interpret things in ways significantly different from the earlier literature. His book centers a great deal upon Secretary Seward (no surprise there) and addresses questions surrounding the apparent recklessness (at times) of Seward's diplomacy. How Britain would have fared in a war with the U.S., and vice versa, is counter-factual history that interests many armchair commanders-in-chief, and it looks like Perry believes that the U.S. Navy would have been a fearsome opponent for the Royal Navy. "Hiking to History: A Guide to Off-Road New Mexico Historic Sites"
I heartily concur with author Robert Julyan that touring historical sites in a car can't hold a candle to actually walking the ground. 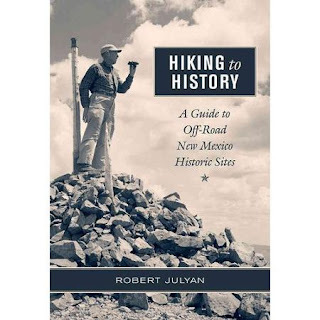 Hiking to History: A Guide to Off-Road New Mexico Historic Sites (University of New Mexico Press, 2016) visits 23 places within the state's borders. According to the author, the sites are generally inaccessible by car anyway, but all are foot traffic friendly and open to the public. I added the volume to my review checklist hoping that there would be Civil War content and there is one hike (for the March 1862 Battle of Glorieta Pass) directly associated with the conflict. The book is not a traditional guide in terms of having detailed directions, a carefully mapped out tour route, numbered stops, etc. Instead, it is more of a nature hike-o-logue [I made up that word]. Designed for both active and armchair readers, each chapter contains site background history and much of the text is informal first-person narrative describing the author's experience of walking the ground. The afterword invites readers to actively participate in the preservation of the state's historical heritage, and the final section recommends published resources. For each chapter, general directions on how to reach the site are offered as are photographs and select GPS coordinates. There are two maps (a state-level overview and a battlefield drawing). At the end of some chapters, sidebars direct readers toward alternative sites to visit as well as suggested reading. Julyan selected an interesting assortment of sites for the book, his choices representing all eras of New Mexico's past from pre-history up to modern times. Among them are a plane crash location, a bombing range, a Civil War battle, the site of the famous Tunstall Murder of "Billy the Kid" lore, Dog Canyon (used by local tribes as a refuge for generations), Jaramillo Creek (an important area of geological science investigation), a sacred religious site (El Cerro de Tome), a fossil dig, and much more. At the conclusion of the third part of Donald Frazier and State House Press's thus far impressive "Louisiana Quadrille", Blood on the Bayou: Vicksburg, Port Hudson, and the Trans-Mississippi (2015), some readers questioned whether the author could possibly fit everything else into the fourth and final book in the series. Apparently, the author agreed with that assessment. The Fall/Winter Texas A&M Consortium catalog (of which State House Press is a member) provides official notice that the series scope has indeed now expanded to five books. If the Big 10 can have 14 member schools and the Big 12 can have 10 teams, then the "Louisiana Quadrille" can have five volumes. Volume 4: Storm on the Farthest Shore: The 1863 Campaigns for Texas. Volume 5: Death at the Landing: The Contest for the Red River and the Collapse of Confederate Louisiana, March 1864-June 1865. The catalog also mentions that the upcoming paperback version of Volume 1 Fire in the Cane Field: The Federal Invasion of Louisiana and Texas, January 1861 - January 1863 will be a "revised and updated" 2nd Edition. I asked the author about the changes and its appears that they will be largely presentational in nature. In addition to those alterations that go with the new paperback format, there are a couple new images and the typographical errors have been cleaned up. Content is pretty much the same. Frazier also mentioned that Volume 4 is very far along on the road to completion. Booknotes: A Just and Holy Cause? • A Just and Holy Cause? : The Civil War Letters of Marcus Bethune Ely and Martha Frances Ely edited by Linda S. McCardle (Mercer UP, 2016). Marcus Ely was a lieutenant in Company H of the 54th Georgia infantry regiment, which was organized in May 1862. His later letters cover the Atlanta Campaign (and he appears to have been a hospital patient during the months leading up to the end of the war), but the major interest for me is the correspondence with his wife during the first two years of the war. During this time, his unit was stationed along the South Atlantic coast between Savannah and Georgia. Letter collections from soldiers of long service in that theater are relatively uncommon. Phillips: "THE RIVERS RAN BACKWARD: The Civil War and the Remaking of the American Middle Border"
It's no surprise that a number of current and upcoming books are comparative studies of nearby Civil War era communities located on opposite sides of the traditional border between North and South. Perhaps nowhere else in the United States were the identity of citizens and their views on politics, society, commerce, and race more resistant to easy generalities. Markedly widening this locally focused lens, The Rivers Ran Backward: The Civil War and the Remaking of the American Middle Border instead brings a vast geographical expanse under consideration. In the book, author Christopher Phillips asks readers to cast aside preconceived notions of a sharply defined sectionalized U.S. in the decades preceding the war and, in its place, think of a more plastic border not confined by geographical barriers and with a large population strongly influenced by a new western identity. In defining the sprawling "middle border" (or the "West") for the purposes of this study, Phillips is referring to "those states bordering the Ohio and Missouri Rivers west of the Appalachian Mountains and south and east of present-day Nebraska, Iowa, Wisconsin and Michigan." The Ohio River has often been used as a generally agreed upon shorthand for the geographical line separating North and South, free and slave, but this book argues that such a sharp division did not exist. Rather a Middle Border cultural consensus, one moderate on the slavery issue and hostile to both fire-eater and abolitionist extremes, existed over wide swaths of territory above and below the Mason-Dixon Line. In the decades prior to the Kansas troubles of the mid-1850s, citizens of the Middle Border eschewed northern and southern labels and instead proudly proclaimed themselves part of a new "West" section1, one that not only would guide the future of the country but would help hold it together against the forces of extremism. However, as the book demonstrates, this alternative identity could not maintain itself in the face of the national cataclysms of the last half of the nineteenth century. According to Phillips, antagonistic and mutually exclusive "North" and "South" labels reasserted themselves during the Kansas troubles, were solidified during the Civil War, and persisted throughout Reconstruction and far beyond. Very early in the Civil War, Middle Border citizens found that the middle ground they cherished so much would no longer be respected by either side. Phillips shows that conciliatory Union military policy (interpreted by many to have been in force until mid-1862 in most theaters) often lasted mere days or weeks in the Middle Border. Whatever the orders from conservative commanding generals and the army's civilian leadership, lower ranking officers and the rank and file of Union regiments entering Missouri and Kentucky were demanding, and implementing, hard war from the very beginning. When Confederate forces were pushed out of both Missouri and Kentucky by early 1862, many Middle Border residents breathed a sigh of relief that perhaps military control would be relaxed but quite the opposite occurred. Flustered by pockets of local resistance, by the summer of 1862 Union authorities firmly established in the Middle Border what Phillips calls their "dominion system." It had six fundamental precepts, all of which worked toward the elimination of any middle stance on loyalty — (1) military districting, with a relatively free hand given to local commanders to interpret and implement federal directives using federal troops supported by home guards and militia, (2) use of Unconditional Unionists to provide intelligence on the loyalty status of neighbors and gather evidence for arrest, (3) creation of a provost marshal system with expansive policing powers, (4) establishment of loyalty through oaths and bonds, with severe penalties for refusal, (5) imposition of martial law and suspension of civil liberties, and (6) creation of a system of economic coercion through strict trade regulation. As Phillips and other scholars have discovered, the army found trade restrictions to be a particularly effective means of civilian control. The Emancipation Proclamation comprised one of the deepest wedges driven into Middle Border society during the war, on both the home and military fronts. It is commonly recognized that emancipation caused hundreds of Union officers to resign and some number of soldiers in the ranks to desert, but the overall effect on the war effort has been generally deemed minimal. Phillips suggests the problem was more serious, citing among other examples the case of two southern Illinois regiments that were so riven by desertion and mutiny that they had to be disbanded entirely. Emancipation also alienated loyal home front opposition to the Lincoln administration from the soldiers in the field, who increasingly regarded civilian resistance toward freeing the slaves as treason against the government and a betrayal of the considerable sacrifices made by the men in the ranks. This is a common theme in the recent Civil War literature and is one that is substantially reinforced in the book. Phillips also discusses the region's guerrilla conflict in the context of emancipation and black enlistment in the Union army. Emancipation led to an uptick of violence in already guerrilla infested states like Missouri and Kentucky, but army recruitment of both free blacks and the slaves of loyal masters set the Middle Border aflame. Support for emancipation became an ironclad test of loyalty and pro-Union slaveholders found themselves constantly harassed and pressured by military authorities and recruiting agents, regardless of official enlistment policy. When President Lincoln removed all recruitment restrictions in May 1864 and appointed hard line officers to oversee martial law in the Border States, an explosion of violence and retaliation occurred. The sharp Middle Border divisions created by the Civil War extended well into the post-war period. It took most of a decade for the most draconian measures of the radical Drake Constitution to be overturned in Missouri, but politics in Kentucky quickly reverted to a favorable environment for formerly pro-slavery conservatives and ex-Confederates. Mob and paramilitary violence occurred throughout the region but was heightened within, and particularly endemic to, both ex-slave states. The book explores the powerful forces of Civil War commemoration that for decades created war narratives and memories (often inventing artificially exclusive ones) that reinforced divisions along North-South lines. According to Phillips, the resulting cultural schism proved to be a permanent break from the Middle Border's antebellum white consensus. The bibliography of The Rivers Ran Backward is impressive. The book very effectively combines extensive original research with mastery of an immense and rapidly growing secondary literature. The vast reach of the author's manuscript research personalizes in a very potent manner the book's many macro-political discussions. For example, an early chapter discusses a free state entrepreneur's extensive use of slave labor in the Illinois salt industry. This vignette forcefully illustrates the plastic reach of slavery and reinforces the author's argument for the existence of a fluid Middle Border in the first half of the nineteenth century. Another chapter, this one examining Shaker colonies in Kentucky, offers a profound example of the war's politicization of religion and the inability of religion (even that of pacifist sects) to escape the war's demands for a binary system of loyalty with no middle ground permitted. Keen readers will recognize that important parts of The Rivers Ran Backward draw upon previous books and articles written by Phillips and that this study integrates these wide ranging subjects and themes into a cohesive and much expanded new whole2. In many ways, The Rivers Ran Backward is a wonderfully deep distillation of a career's worth of scholarly investigation into the people, politics, society, and warfare of the western borderlands during the Civil War era. It is highly recommended. 1 - Other historians have written about this idea of a West that would unite the country by diffusing conflicts between North and South and strengthen the country through its own vigorously expansive economic and cultural force. A particular fine example from the literature is Adam Arenson's The Great Heart of the Republic: St. Louis and the Cultural Civil War (Harvard, 2011). 2 - Over the past three years, Phillips has produced two related works, this one and The Civil War in the Border South (Praeger, 2013). The latter is a very useful introductory volume to many of the themes explored here and elsewhere throughout the author's professional career. • Northern Character: College-Educated New Englanders, Honor, Nationalism, and Leadership in the Civil War Era by Kanisorn Wongsrichanalai (Fordham UP, 2016). "The elite young men who inhabited northern antebellum states--the New Brahmins--developed their leadership class identity based on the term "character": an idealized internal standard of behavior consisting most importantly of educated, independent thought and selfless action. With its unique focus on Union honor, nationalism, and masculinity, Northern Character addresses the motivating factors of these young college-educated Yankees who rushed into the armed forces to take their place at the forefront of the Union's war. This social and intellectual history tells the New Brahmins' story from the campus to the battlefield and, for the fortunate ones, home again. Northern Character examines how these good and moral "men of character" interacted with common soldiers and faced battle, reacted to seeing the South and real southerners [hint: they viewed southern society a failure of "character"], and approached race, Reconstruction, and Reconciliation." • Hell Itself: The Battle of the Wilderness, May 5-7, 1864 by Chris Mackowski (Savas Beatie, 2016). Mackowski is a former Fredericksburg and Spotsylvania National Military Park historian so he undoubtedly knows the Wilderness history and battlefield well. The latest volume from the Emerging Civil War series, Hell Itself tells the story of the battle from beginning to end using a series of tour stops. The narrative is supported by numerous photographs and drawings, as well as 11 detailed maps. As we've come to expect, the ECW collaborative appendix section is populated with interesting vignettes and mini-studies. 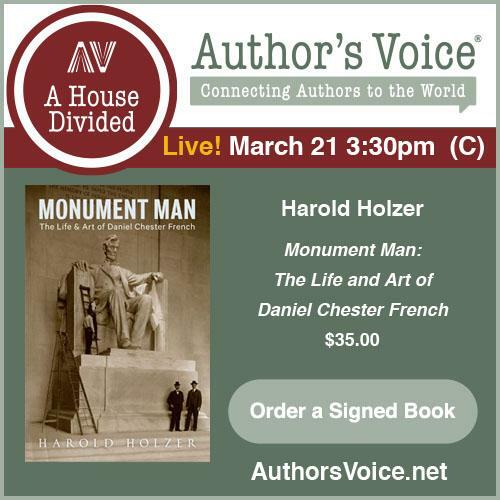 They discuss federal cavalry during the battle, Burnside's poor performance, the high command of the Army of the Potomac, Longstreet's wounding, the battlefield's flora and fauna, and the Civilian Conservation Corps's relationship with the park. There's also an order of battle. Bockmiller: "WASHINGTON COUNTY IN THE CIVIL WAR"
Washington County in the Civil War, authored by Stephen R. Bockmiller, is a new volume from Arcadia Publishing's popular Images of America series of local photographic histories. As is the long standing custom, narrative history does not accompany the photo collection, but rather the Washington County, Maryland story immediately before, during, and after the Civil War is told through a variety of images and their captions. Photographs of persons, buildings, and landscapes predominate, but there are also numerous reproductions of sketches, woodcuts, document images, archival maps, and the like. In keeping with the consistent Images of America look and feel, Washington County in the Civil War is printed on heavy, high-gloss paper stock, the kind that makes for better image reproduction. It's apparent that a great deal of thought and effort went into Bockmiller's selection of images. They are sourced from both public and private collections (author and Antietam enthusiast Stephen Recker must have quite a personal archive). It would have been easy to fill the book with Antietam (by far the most famous Washington County wartime event) photographs and the CDVs of famous officers that fought at that battle and other places nearby. There is some of that, but the author largely went in a different direction. Of the entire body of photos and illustrations in the volume, there is a substantial percentage that will be unfamiliar even to those that regularly read about Civil War events that occurred in the county. A pair of chapters bookend the Civil War coverage. The first of these covers persons and places prominent during the antebellum period and the second post-war commemoration in the county, including reunions, parades, and monument dedications. Large numbers of photographs are grouped by theme. Thus there are collections of images related to John Brown's Raid (to include sites, like the Kennedy Farm, and persons related to Harpers Ferry Raid preparations on the Maryland side), Antietam, the retreat from Gettysburg, and the ransoming of Hagerstown during the 1864 Confederate invasion. There is some geographical neglect. The town of Hancock and the rest of the far western sliver of the county does not get the attention that the middle and eastern sections receive. It also would have been helpful if author and publisher had been able to squeeze a county map into the volume so that readers of all backgrounds might readily locate the many sites mentioned. 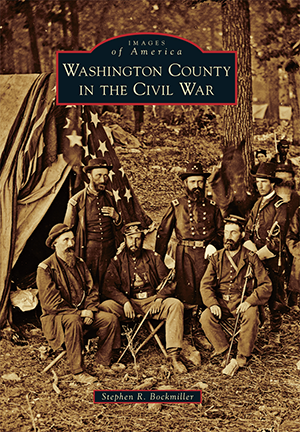 Washington County in the Civil War should garner the local appeal that its series is designed to foster, but the book's selection of fresh images should also interest a wider audience of Civil War photography enthusiasts. • The Press and Slavery in America, 1791-1859: The Melancholy Effect of Popular Excitement by Brian Gabrial (Univ of S Carolina Pr, 2016). Slave revolts were a surefire way to bring the institution into public discourse in pre-Civil War America. In The Press and Slavery in America, author Brian Gabrial "closely reads the mainstream press during the antebellum years, identifying shifts in public opinion about slavery and changes in popular constructions of slaves and other black Americans, a group voiceless and nearly invisible in the nation’s major newspapers. He reveals how political intransigence rooted in racism and economics set the country on a perilous trajectory toward rebellion and self-destruction." "This volume examines news accounts of five major slave rebellions or conspiracies: Gabriel Prosser’s 1800 Virginia slave conspiracy; the 1811 Louisiana slave revolt; Denmark Vesey’s 1822 slave conspiracy in Charleston, South Carolina; Nat Turner’s 1831 Southampton County, Virginia, slave revolt; and John Brown’s 1859 Harper’s Ferry raid. Gabrial situates these stories within a historical and contextual framework that juxtaposes the transformation of the press into a powerful mass media with the growing political divide over slavery, illustrating how two American cultures, both asserting claims to founding America, devolved into enemies over slavery." I wonder if Gabrial considered expanding his date range through 1860 to include the infamous slave conspiracy panic of 1860 in Texas. Even though that particular insurrection alarm turned out to be baseless, the event and media storm that accompanied it did much to radicalize the state's population right before the divided national elections that fall, stoking fears of abolitionist plots (sourced both internally and externally) and promoting secessionist sentiment. • Extreme Civil War: Guerrilla Warfare, Environment, and Race on the Trans-Mississippi Frontier by Matthew M. Stith (LSU Press, 2016). In both its regular and irregular aspects, the Civil War along the isolated nexus between Kansas, Missouri, Arkansas, and Indian Territory is often described as being especially brutal for combatant and non-combatant alike. Stith's Extreme Civil War focuses on this area of the Trans-Mississippi, examining "the physical and cultural frontiers that challenged Confederate and Union forces alike." Emphasizing the uniqueness (on many levels) of the war in this border region, "Stith shows how white Confederate and Union civilians faced forces of warfare and the bleak environmental realities east of the Great Plains while barely coexisting with a number of other ethnicities and races, including Native Americans and African Americans. In addition to the brutal fighting and lack of basic infrastructure, the inherent mistrust among these communities intensified the suffering of all citizens on America's frontier." Jeffrey, ed. : "TWO CIVIL WARS: The Curious Shared Journal of a Baton Rouge Schoolgirl and a Union Sailor on the USS Essex"
Two Civil Wars is the product of the chance discovery of an intriguing double journal containing the writings of Baton Rouge Catholic schoolgirl Celeste Repp and USS Essex Quarter Gunner William L. Park (a bizarre pairing, for sure). Independent scholar Katherine Bentley Jeffrey was approached by the owners (indirect ancestors of Park) of this unusual artifact, and the fortuitous event was the beginning of twenty-five years of historical investigation. The 1859-1861 journal of Celeste Repp comprises only a fraction of the book's total content but the meticulousness of Jeffrey's detective work really shines through in her generous volume of supporting material. The journal itself is basically just a few French language exercises (also translated into English in the book), three poems, a very brief letter to a favorite instructor (Father Hubert), and an even shorter single journal entry regarding a visit to the Louisiana State Fair. Little of Repp's background, personality, and character can be uncovered in such brief fragments of her writing, but Jeffrey's deeply researched introduction provides much in the way of Repp family history and connections, as well as informative biographical sketches of both the aforementioned Father Hubert and Matilda Victor, the latter the proprietor of Repp's Catholic school (St. Mary's). These sections offer interesting, and often striking, glimpses into formal Catholic education in the Deep South [its institutions not always accepted by Protestant neighbors (at one point, Fr. Hubert was even shot in the arm by an unknown assailant)], as well as French and German immigrant experiences and culture in Louisiana. Jeffrey's notes are well researched, often fascinatingly discursive and expansively detailed, offering much in the way of biographical sketches of persons, and also historical background material regarding places and events, mentioned in the journal. Jeffrey also presents to the reader reasonable conjectures regarding two of the combined journal's oddities. 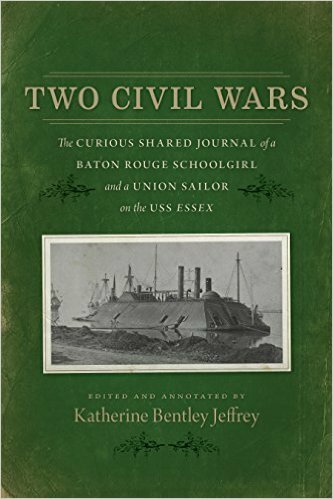 The first, just how the journal of a Louisiana schoolgirl wound up in the hands of a sailor aboard the ironclad Essex, can be imagined from contemplating the common fate of personal belongings of civilians located all across the occupied South. The St. Mary's school building was used as a Union hospital after Baton Rouge was captured. Park himself was not a patient there, but he had shipmates who were, and it isn't difficult to imagine that one of them pilfered a mostly blank journal book, one that eventually wound up in the hands of a shipboard acquaintance seeking a way to preserve his own war story on paper. The second question pertains to the time discrepancy in Park's journal (his entries begin at dates far preceding a time when he could possibly have acquired the writing book), but that could be simply explained by the copying of previously written material into a new journal (a not uncommon practice among Civil War diarists). According to Jeffrey, how much later this was done (during or after the war) is impossible to tell. In terms of both length and historiographical value, the 1861-64 journal of William L. Park easily surpasses Repp's. Civil War rank and file fighting men liked to write about very different things. Many surviving journals and letters dwell primarily upon family and friends, homesickness, the weather, surrounding nature, or camp life in the field (or on the water) with their comrades, but others (a much rarer group) are composed in the main of keen observations of military events. Park's naval chronicle definitely occupies a place in this latter category. In addition to numerous ship vs. shore and ship vs. ship engagements, he also writes about minesweeping and counter-guerrilla actions. The regularity by which Park notes the Essex picking up freedom-seeking escaped slaves for interrogation attests to their intelligence value to the fleet. All of this extremely dedicated 'shop talk' is lightened, however, with the occasional personal anecdote told with an appealing dry wit. In his journal, Park recounts his shipboard experience of many of the most important campaigns fought along the western theater's inland waterways. In addition to the Essex, he also briefly served on the crew of the Pittsburg. Park was witness to the fall of Island No. 10, the captures of forts Henry and Donelson, and the destruction of the CSS Arkansas, but the most extensive event coverage in his journal relates to the long naval phase of the Port Hudson campaign. The Essex frequently bombarded the Confederate fortress in support of the land siege operation. As at Vicksburg, naval gunners were to establish siege batteries on land at Port Hudson, but the Confederates surrendered before Park himself made it ashore. After the siege ended, the Essex patrolled the Mississippi through the rest of the year. Its involvement in the doomed Red River Campaign early the following year was limited to picketing the lower Red. This was fortunate for Park personally but not so much for today's readers and historians, who would have greatly benefited from his dispassionate and keen observational abilities. The entries end in July 1864 with Park's mustering out of the service. Clearly meriting publication, this naval journal is a great primary resource for those studying the gunboat war fought along the lower Mississippi. As before with her handling of the writings of Celeste Repp, Jeffrey's expansive primary and secondary source research in this section adds greatly to the value of the Park journal. The book's bibliography is more impressive than most original monographs, and one can recognize the editor's skilled source selection and interpretation in the explanatory footnotes. One of Jeffrey's most useful finds was another unpublished Essex journal (James Henneberry's), its helpful complementary nature to Park's writing well borne out in the notes. Union 'Brown Water Navy' crewman diaries and journals are rare, and Park's (also apparently the first Essex journal to be published) should occupy a prominent new place in this group. The afterword explores the post-war lives of the book's main 'characters' — Repp, Victor, Hubert, and Park — with the same attention to detail. In the appendix section, other documents (ex. speeches, reports, correspondence) incorporated by Park into his journal are reproduced in full, and Jeffrey also includes a brief comparative study of the Park 'abstract journal' and later 'amplified memoir'. For all of the reasons mentioned above, Two Civil Wars is highly recommended reading, drawing in individuals with interests seemingly as divergent as the Deep South Catholic experience in the antebellum period and Civil War ironclad warfare along the main waterways and byways of the lower Mississippi River Valley. If a yearly book award for Civil War manuscript editing exists, Katherine Bentley Jeffrey richly deserves to be on its short list of candidates. Attention map lovers. There's another book project in the works that I wanted to mention. The several posts at the link provided here for Arkansas in the Civil War: A Military Atlas by Randy Puckett and Ron Kelley will give you an idea of what it entails. The authors meticulously digitized Confederate engineer Richard Venable's massive (and beautiful) map of the entire state, breaking it down into sections for publication in book form. The release date is June 10 and I'll have more information when the review copy arrives. • Hiking to History: A Guide to Off-Road New Mexico Historic Sites by Robert Julyan (Univ of New Mexico Pr, 2016). "Written for both outdoor enthusiasts and vicarious travelers, Hiking to History describes the historical significance behind these publically accessible sites and includes GPS coordinates to enable readers to find each place. Ranging from the state’s principal Civil War battlefield at Glorieta to the dirt road where a broken wagon wheel led two young artists to settle in Taos in 1898, the scenes provide an up-close experience of the state’s remarkable past." Of the 23 sites examined in the book, one (Glorieta Pass) is directly Civil War-related. 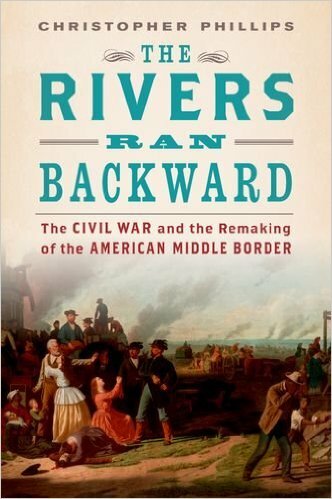 • The Rivers Ran Backward: The Civil War and the Remaking of the American Middle Border by Christopher Phillips (Oxford Univ Pr, 2016). Historian Christopher Phillips knows the Civil War-era western border states as well as anyone. 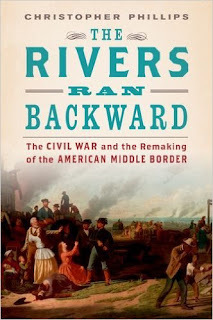 His new book The Rivers Ran Backward looks at the so-called "Middle Border" — the slaveholding states of Kentucky and Missouri and the free states of Kansas, Illinois, Indiana, and Ohio — and finds an area with vigorous growth during the decades preceding the war and with much more overlapping political ideology and identity than popularly believed. Less caught up in radicalized sectionalism than other regions, Middle Border residents instead thought of themselves as part of the American West, a people hoping to bridge the differences between North and South and lead a united nation to an ever more prosperous future. The book "sheds light on the fluid political cultures of the "Middle Border" states during the Civil War era. Far from forming a fixed and static boundary between the North and South, the border states experienced fierce internal conflicts over their political and social loyalties. White supremacy and widespread support for the existence of slavery pervaded the "free" states of Ohio, Indiana, and Illinois, which had much closer economic and cultural ties to the South, while those in Kentucky and Missouri held little identification with the South except over slavery. Ultimately, the pervasive violence of the Civil War and the cultural politics that raged in its aftermath proved to be the strongest determining factor in shaping these states' regional identities, leaving an indelible imprint on the way in which Americans think of themselves and others in the nation." The U.S. Army's Combat Studies Institute press recently published Charles D. Collins Jr.'s Battlefield Atlas of Price's Missouri Expedition of 1864. Its 75 maps are pretty impressive at first glance. There's certainly nothing else like it in existence, and it's free to download as a .PDF from the page linked above. Thanks to Jim McGhee for notifying me about this and passing along the rumor that it might also be released in print form sometime this summer. I would definitely pick up a copy of that. • Soap Suds Row: The Bold Lives of Army Laundresses 1802-1876 by Jennifer J. Lawrence (High Plains Press, 2016). Soap Suds Row respectfully tells the story of army laundresses, mainly during the Civil War and Frontier Army periods. It explores in detail their official position, duties, and lifestyle (including having to manage family obligations in addition to the laundress job). Chapters also cover issues related to travel, romantic attachments, motherhood, as well as the more sordid aspects of the profession like prostitution (the last unfortunately comprising a disproportionate part of the popular reputation of the army laundress). Many individuals are profiled, and the appendix provides a list of known official army laundresses. The book is well stocked with maps and photographs. • The Maps of the Wilderness: An Atlas of the Wilderness Campaign, May 2-7, 1864 by Bradley M. Gottfried (Savas Beatie, 2016). This is the newest volume in the Savas Beatie Military Atlas series, which has been dominated so far by Gottfried's prodigious eastern theater output. The 120 color maps in The Maps of the Wilderness include "an assessment of the winter of 1863-1864, the planning for the campaign, the crossing of the Rapidan River, and two days of bloody combat and the day of watchful stalemate thereafter." Readers familiar with the series will recognize the organizational structure of the volume, which retains the 'action-sections' of its predecessors. "At least one―and as many as eight―maps accompany each “action-section.” Opposite each map is a full facing page of detailed footnoted text describing the units, personalities, movements, and combat (including quotes from eyewitnesses) depicted on the accompanying map." There are 24 of these action-sections in the book. Woodrick: "THE CIVIL WAR SIEGE OF JACKSON, MISSISSIPPI"
For a very long time, the only substantial account of the July 10-17 Siege of Jackson was a section a bit over fifty pages in length inside Edwin C. Bearss and Warren Grabau's The Battle of Jackson May 14, 1863, The Siege of Jackson July 10-17, 1863, Three Other Post-Vicksburg Actions (1981). Some time ago, Grabau approached Jim Woodrick about updating the title for a new edition. Unfortunately, Grabau passed soon after and the original project stalled, but the germ was planted in Woodrick's mind for a new account focusing just on the mid-July face off between William T. Sherman's expeditionary force cobbled together from major elements of U.S. Grant's massively expanded Army of the Tennessee and Joseph E. Johnston's Army of Relief. The result is The Civil War Siege of Jackson, Mississippi, and in it Woodrick updates the scholarship while also widening the focus beyond Bearss's purely military account. Tasked with the relief of John C. Pemberton's Confederate army, then languishing inside the Vicksburg defenses under a tight siege that began in late-May 1863, Joe Johnston reoccupied Jackson and waited for a suitable opportunity. Even though Johnston's Army of Relief was heavily reinforced from all parts of the Confederacy, it did nothing more than hover at a safe distance beyond the Union siege lines. No serious attempt to weaken Grant's hold on Vicksburg was ever made. When Vicksburg eventually fell on July 4, Johnston suddenly found his own army the next target. 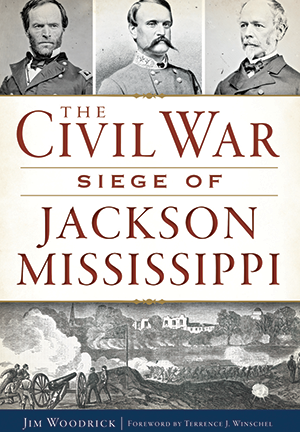 The Civil War Siege of Jackson, Mississippi recounts this brief campaign in full while also discussing the history and military importance of Jackson itself, the city being both the Mississippi state capital and a critical theater railroad nexus. By most estimates, Confederate cavalry performed poorly as a whole during the Vicksburg Campaign, but Woodrick praises their skillful delaying of Sherman's advancing legions in July, the action providing Johnston's infantry with precious extra hours to improve the Jackson earthwork defenses. On the other side, the Union cavalry (the service branch least likely to receive praise from Sherman during the war) was rather timid in the performance its duties, which encompassed both patrolling the Union flanks during the siege and destroying railroad lines north and south of Jackson. Sherman was particularly perturbed with Cyrus Bussey's hesitancy, and it took stiffening from the infantry before Canton would be captured and its industry and rail facilities destroyed. No great battles were fought during the week-long siege, but intense skirmishing and sharpshooter exchanges occurred on a daily basis. The defense works were also directly tested. The book describes in detail the most bloody operation, the ill-advised July 12 advance of Pugh's Brigade on the Union right and their repulse by the defenders of Breckinridge's Division. It led to more than half of Pugh's men becoming casualties and marked the end of division commander Jacob Lauman's military career. According to the author, bad blood between Lauman and corps commander E.O.C. Ord had been brewing for some time (stemming originally from an order misunderstanding that added significantly to the heavy Union casualty toll incurred during Ord's cross river assault on October 5, 1862 at the Battle of Davis Bridge) and was a major factor in Lauman's ouster. Another fine account is that of the reconnaissance in force conducted by John Parke's Ninth Corps against the northern defenses of the city on the morning of the 16th. During the night of the 16th and early morning hours of the 17th, Johnston's army slipped across the Pearl River and escaped into the Mississippi interior. The book also describes the belated pursuit, which resulted in no major fighting but visited great destruction upon the town of Brandon. The major drawback to these descriptions is the lack of maps. With only one general map of the siege (and a tiny reproduction of an archival drawing) provided in the book, one laments the absence of smaller scale tactical maps, especially for Pugh's doomed attack. Commonly thought to be the result of Johnston's innate caution and primary desire to save his own army from a fate similar to that of Pemberton's, the Army of Relief's departure from Jackson, according to Woodrick, was also expedited by the Confederate cavalry's failure to capture a massive enemy ammunition train en route to Sherman from Vicksburg with a much needed resupply of artillery rounds. The book discusses the mysterious role of a Union spy (or escaped POW) in relaying Confederate interception plans to Union authorities, the information allowing the supply train escorts to successfully thwart the attack. The city of Jackson itself is also a major focus of the study, with the book tracing its origins as well as its political, commercial, and logistical importance. The destruction that the Vicksburg Campaign inflicted upon the city, from retreating Confederates and occupying Federals, is well documented. The author persuasively challenges the evidence interpretation of historians who have deemed the level of wartime damage to be exaggerated. Jim Woodrick's The Civil War Siege of Jackson, Mississippi fulfills the need for an updated modern history of the great concluding event of the Vicksburg Campaign. With an array of book, article, letter, diary, memoir, and newspaper sources involved, the research into the campaign is solid and the narrative's comprehensiveness should satisfy most readers. Even though Vicksburg over time has maintained its lofty reputation as one of the most important Civil War campaigns, interesting and worthwhile contributions to the Vicksburg historiography remain inexplicably rare, and Jim Woodrick's study deserves a place in this small group. • Confederate Political Economy: Creating and Managing a Southern Corporatist Nation, 1861-1865 by Michael Brem Bonner (LSU Press, 2016). "In Confederate Political Economy, Michael Bonner suggests that the Confederate nation was an expedient corporatist state -- a society that required all sectors of the economy to work for the national interest, as defined by a partnership of industrial leaders and a dominant government." In the midst of a war for national survival against a vastly superior foe, Confederate policy making became progressively more centralized and "these policies evolved into a political culture that allowed for immense executive powers, facilitated an anti-party ideology, and subordinated individual rights. In addition, the South's lack of industrial capacity forced the Confederacy to pursue a curious manufacturing policy that used both private companies and national ownership to produce munitions. ... other wartime policies like conscription, the domestic passport system, and management of southern railroads also exhibited unmistakable corporatist characteristics." • The Cavalry of the Army of the Cumberland by Dennis W. Belcher (McFarland, 2016). "During its two-year history, the cavalry of the Army of the Cumberland fought the Confederates in some of the most important actions of the Civil War, including Stones River, Chickamauga, the Tullahoma Campaign, the pursuit of Joseph Wheeler in October 1863 and the East Tennessee Campaign. They battled with legendary Confederate cavalry units commanded by Nathan Bedford Forrest, John Hunt Morgan, Wheeler and others. By October 1864, the cavalry grew from eight regiments to four divisions--composed of units from Pennsylvania, Michigan, Wisconsin, Ohio, Indiana, Iowa, Kentucky and Tennessee--before participating in Sherman's Atlanta Campaign, where the Union cavalry suffered 30 percent casualties. This history of the Army of the Cumberland's cavalry units analyzes their success and failures and re-evaluates their alleged poor service during the Atlanta Campaign." The book is a detailed chronological account of western theater cavalry operations (big and small), with maps, strength tables, and orders of battle spread throughout. The bibliography lists an impressive array of unpublished sources. Though David Evans's study of mounted operations during the Atlanta Campaign is a classic, there hasn't really been a book that assesses the Union's western cavalry this broadly since Stephen Starr's trilogy was published (I think). 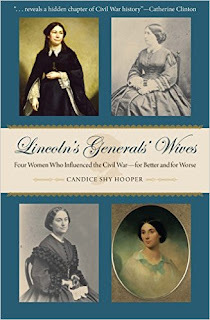 Author Q & A: Candice Shy Hooper and "Lincoln's Generals' Wives"
Candice Shy Hooper is the author of Lincoln's Generals' Wives: Four Women Who Influenced the Civil War for Better and for Worse (Kent State University Press, 2016). In the book, Hooper examines the historical impact of Jessie Benton Frémont, Mary Ellen Marcy "Nelly" McClellan, Eleanor Ewing "Ellen" Sherman, and Julia Dent Grant, covering "the early lives of her subjects, as well as their families, their education, their political attitudes, and their personal beliefs." The study contrasts sharply what the author interprets to be the positive influences of Mrs. Grant and Sherman with the misguided marital collaborations of the wives of George McClellan and John C. Frémont. DW: After figuratively living with Ellen, Julia, Jessie, and Nelly for long periods of time while your project was taking shape, which figure developed into your favorite (and why)? CSH: Aaaahhh — the “Who’s your favorite child?” question! Hard, hard question, but I think I have to say Julia Grant is my favorite. I’d read a great deal about Julia even before I began this project, but carefully reading The General’s letters to her and her memoirs gave me a completely different picture of her and new appreciation for her complex personality. Though she sometimes pretended to be naïve when it suited her purposes, she was actually very clever, particularly when it came to people who slighted her husband when he was down on his luck and later claimed his friendship when he triumphed. And while the Grants had one of the greatest love stories in our history, I was fascinated that she didn’t hesitate to disagree with her husband on a wide range of topics, from the length of his beard to his military strategies. But mostly, I was astounded at how much she traveled during the Civil War to be with Ulysses. Though his biographers often mention that she was with him “a lot,” Julia was, in fact, the Civil War’s “Road Warrior.” I’m the first to map her (and the other wives’) travel during the war, and the map of the war years is nearly as impressive as her husband’s. Julia traveled more than 10,000 miles during the war, often with four young children in tow, sometimes through enemy territory, and always at the mercy of unreliable ferries, trains, carriages and horses to be with her husband. She was very nearly captured by Confederates in Mississippi in 1862. Her travel is even more astonishing when you realize that she did it all with a serious disability. Julia was born with an eye defect that affected her vision and her depth perception, making many tasks — from reading and writing to sewing and stepping onto trains — difficult and sometimes dangerous. And then, at the end of the war, she refused Mary Lincoln’s invitation to go to Ford’s Theater on April 14, setting up one of the most fascinating “what-ifs” in American history. DW: Your subtitle mentions how the ladies influenced their spouses’ careers “for better and for worse.” Can you give an example of how each harmed her husband’s prospects? When Jessie Frémont rushed to Washington in September of 1862, to convince Lincoln to let her husband’s ill-timed emancipation order stand, by all accounts, the meeting did not go well. There was plenty of room for blame on both sides, but it was what Jessie did right after the meeting — encouraging her husband to defy the President — that was fatal to General Frémont’s military career. Nelly McClellan fed her husband’s disdain for Lincoln and his cabinet in her letters. McClellan had his own problems, but it appears she endorsed his every paranoid fear about his civilian and military superiors. Even when he gave her openings to question his judgment, it is not apparent she ever encouraged him in that regard. In my opinion, Ellen Sherman’s influence on her husband’s career during the war was wholly positive. When he was branded “insane,” he wanted to hide — but she wanted to fight, and did. Her meeting with Lincoln was marked by thoughtful preparation, rational discussion, candid admission of her husband’s shortcomings, and trust in Lincoln’s advice for rehabilitation of Sherman’s career. When in 1864, Sherman threatened to leave the army, Ellen forbade it as desertion, and urged him to stay in the fight. She was devoted to the cause of ending slavery and saving the Union, and she believed her husband had an important role to play. Julia’s devotion to Ulysses was reflected in her courageous travel throughout the war to be with him. Her reassuring companionship preserved Grant’s equilibrium, that quiet calm that struck every person he encountered and that particularly marked his demeanor as a military leader. Julia provided equal parts of love, confidence, and cheer, and Grant made certain that she understood just how important the last quality — “sunshine,” he called it — was to him. DW: The women had varying degrees of direct interaction with Lincoln. Can you briefly encapsulate what the president thought of each? CSH: Lincoln surely admired Jessie Frémont early in the war due to her powerful Congressman father, and her prominence in the 1856 campaign. But Lincoln grew frustrated with the Frémonts once they established the general’s headquarters in St. Louis. After Lincoln learned that Frémont had issued an emancipation order in Missouri, Lincoln was stunned and asked him to rescind the order. Frémont refused, and Jessie met with Lincoln to convince the President that Frémont was right. Their meeting ended in a verbal fistfight, and Lincoln was furious after she left. From that point, I believe the best way to describe Lincoln’s attitude toward Jessie is to say that he tolerated her. Nelly — we know that Lincoln met her — certainly at the February 1862 White House reception, but we don’t know much else. There’s no record of his reaction to her then or on the other social occasions when they must have met. We know that he was quite fond of her parents — Lincoln admired her father, General Randolph Marcy. One of my favorite vignettes in the book is when Ellen’s brother Tom tells her about Lincoln’s reaction to her, three months after her visit about her husband. Tom was in Lincoln’s office in April 1862, when the President was signing Sherman’s commission as Brigadier General. Tom told him that Ellen had raised a flag when Lincoln was nominated in 1860. “He rubbed his hands & with much pleasure said ‘that’s first rate’.” A wonderfully human moment, when Lincoln is expressing delight in Ellen’s political support . But when Lincoln first met Julia in the spring of 1864 he was completely charmed. I think he might have looked kindly on her initially because she had the same obvious eye defect that his son Robert had (strabismus, or crossed eyes), but it’s clear Lincoln liked Julia’s style. During Lincoln’s last visit to City Point in late March 1865, he would have been grateful for Julia’s patience as she struggled to cope with his wife’s erratic behavior. It was clear that Lincoln felt very kindly toward the Grants. DW: And what did they think of Lincoln? 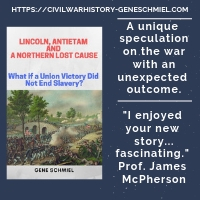 CSH: Jessie Frémont first thought Lincoln naïve — that he could not appreciate the problems they faced in the Western Military Department in St. Louis, Missouri. Soon after, Jessie’s view of Lincoln altered; she thought the Commander in Chief irrelevant, at least to her husband’s decision to issue an emancipation order. And finally, Jessie’s early positive view of Lincoln, after he had made her husband a general, was wholly forgotten when he repudiated her husband’s emancipation order and removed Frémont from command. Though Nelly was known for helping to smooth McClellan’s actions on occasion, existing evidence shows that both in words and in deeds, Nelly bolstered her husband’s arrogance toward Lincoln and his cabinet. From all we know, she not only echoed McClellan’s disdain for his civilian and military superiors, she egged him on. Once Ellen Sherman learned that Lincoln had repudiated the Know-Nothing Party’s hatred for Catholics, she was for Lincoln “heart and soul” — when no one else in her politically astute family supported him. Of course, she couldn’t vote for him, but she “sent up a flag on his nomination,” she sent her boys to a rally for him to shout their approval, and she stood outside at a parade in his honor. She urged her husband to take Lincoln’s advice after he had been labeled “insane.” Later, when Lincoln placed McClernand in command over Sherman, she ranted in a private letter to her husband that Lincoln should be impeached, but she never repeated that sentiment. She always had her eye on the bigger picture — victory for the Union — and once McClernand was out of the picture, her faith in Lincoln was restored. The question of Julia’s opinion of Lincoln is a fascinating one. As her President and her husband relentlessly battled to destroy the Confederacy, Julia calmly absorbed the destruction of the slave-fueled plantation lifestyle she had loved so much. But there is no evidence that Julia harbored ill thoughts toward Lincoln at all, or that she ever sought to color Grant’s feelings for the President. DW: Sometime last year, I was glancing through a quarterly historical journal article about one of General Sherman’s post-Civil War western tours. According to the caption, the accompanying photo of the traveling party brazenly included his “mistress.” As some have alleged and others have doubted, was infidelity common in the Sherman marriage and (if it was) how did Ellen cope with this? CSH: The stories of Sherman’s many flirtations (and perhaps more than that) are almost exclusively from his postwar years, which were not the focus of my book. I do mention it briefly, though. There seems to be a near historical consensus on this point, although there is no real evidence. I read about his infatuation with the sculptress Vinnie Ream (who had earlier caught John Frémont’s eye, too) and with the widow of one of his staff officers. I seem to recall reading a letter after the war from Ellen to Sherman objecting to Mrs. Audenreid using a Sherman family pass on a railroad; Ellen seemed quite upset. In her postwar years, Ellen’s health, never good, got worse. She put on weight and suffered from shortness of breath, and rarely went out in public. As Ellen removed herself more and more from Sherman’s active social life (he went out to the theater or dinner nearly every night), the results were probably predictable, though unhappy for her. I do believe, though, that Sherman sincerely loved Ellen, and that he meant what he said as he ran to the room where she was dying — “Ellen! Wait for me! No one has ever loved you as I loved you!” He was thoroughly shaken by her death — he never believed she was as ill as she was and, though a healthy man at that time, died barely two years later. DW: Of the four, the multi-talented Jessie Benton Fremont was probably the most outspoken promoter of her husband. How much can we attribute this advocacy to a shrewd finding of a socially acceptable outlet for her own ambitions? CSH: Jessie was, indeed, a very ambitious woman. Her famous father educated her like a man and treated her as his political confidante. She was raised in the highest circles of Washington’s political society, and nineteenth-century society’s limits on women frustrated her beyond measure. Much like Mary Lincoln, Jessie worked through her husband to achieve her political goals. She grasped the opportunities that being the wife of John Charles Frémont offered and she was aggressive in pursuing them. She was interested in politics and particularly interested in ending slavery. When Frémont turned down the Democratic Party’s request to be its presidential nominee in 1856, she maneuvered with Francis Preston Blair to get him the nomination of the new Republican Party, which opposed slavery. When Lincoln made her husband one of the first major generals in 1861, Jessie seized the chance to share his power in the military arena. She acted as Frémont’s unofficial chief of staff — “General Jessie” she was called in St. Louis — and she encouraged him to issue his emancipation order without advance notice to the President of the United States. One of the most puzzling aspects of Jessie’s public record is her opposition to the women’s suffrage movement. You would think she would have been a prime supporter if not leader in that fight. But more than once she told Cady Stanton that she did not support giving women the vote — “women in their present position manage men better.” I believe that Jessie’s reluctance in this regard was strategic, that she believed it would be a liability to her husband’s career and to their shared interest in ending slavery. DW: In the Civil War literature, Mrs. McClellan is rarely discussed apart from the famous body of quotable wartime correspondence from her husband. It seems to me that she’s easily the least studied figure of the four and your decision to include her in the book’s quadrumvirate of spouses greatly enhances its appeal . During your research, what were some of your most interesting discoveries? Was Nelly publicly active during General McClellan’s 1864 presidential run? CSH: I found Nelly to be a fascinating historical figure. She was a celebrated beauty, who turned down McClellan’s first offer of marriage. She wanted to marry his West Point roommate, but her mother sabotaged their engagement. We know that when McClellan did marry Nelly, he adopted her religion, which gave him a sense of divine, if not messianic, purpose. Though Nelly left little in her own writing during the war — just five letters and three telegrams — McClellan’s habit of writing to her every day they were apart yielded a lot of information. From his many letters and her few, it is clear that Nelly egged McClellan on in his disdain for Lincoln and his cabinet. It’s not absolutely clear, however, that she shared that disdain. In fact, it’s not completely clear to me that she ever truly loved McClellan. In the election of 1864, Nelly was not at all active — in fact, she told a friend that her husband would not accept the Democratic nomination if the platform was one for peace at any price, but he did so the very next day. In fact, McClellan himself was barely active — he told his campaign brain trust, “Don’t send any politicians around,” and he was completely mistaken about his political support among soldiers. If Nelly’s ill-advised encouragement of McClellan’s every paranoid, narcissistic thought during the war weren’t bad enough, she abandoned responsibility for protecting their personal, intimate correspondence after his death. Instead, she left his reputation — and hers — to the not-so-tender mercies of a very misguided literary executor, who, with Mark Twain’s help, published perhaps the most inaccurate and most criticized “memoirs” of any prominent Civil War general. It’s almost enough to make you feel sorry for George McClellan. Almost . . . If Jessie fought too hard for her husband, Nelly fought not at all. DW: Were there any sources of serious discord (personal, political, ideological, or otherwise) within any of the marriages during the war? CSH: Yes. Three of the marriages suffered serious episodes of discord during the war, although only one of the husbands knew about it. Jessie Frémont was in lockstep with her husband’s political and military policies through the war until August of 1864, when she realized his "third party" candidacy for the presidency might possibly result in a victory for McClellan, a foe of emancipation. Her hatred of slavery pushed her to secretly derail her husband’s bid for the office that both of them had always sought. As far as we know, Frémont never knew that his wife had engineered the decisive visit of John Greenleaf Whittier to his home, which led to his withdrawal from the race. Ellen Sherman sharply disagreed with her husband in at least three instances during the war. In two cases, she opposed his instincts to leave the army. The first time was when he was accused of being “insane” in December 1861 and he told her he wanted to “hide.” She wanted to fight, and she did – fiercely and intelligently, encouraging her husband to remain in the army every step of the way. The second time was when General McClernand was given command over Sherman. When her husband wrote to her threatening to resign, Ellen flatly rejected that course, telling him it would be “desertion.” The third disagreement was ideological but highly personal as well, reflecting her hatred of slavery. On numerous occasions, Ellen virtually ordered Sherman not to visit their lifelong friends the Turners because Turner sympathized with the Southern cause, including continuation of the slave system. In her memoirs, Julia Grant references an instance when she vigorously disagreed with one of his military orders: “It was at this time (December 1862) that the General was annoyed by many persons importuning him for permits to pass the lines and to buy cotton, coming armed, many of them, with permits from the Treasury Department at Washington. It was then General Grant wrote that obnoxious order expelling the Jews from his lines . . .” It’s not clear, though, whether or how she expressed her repugnance to her husband at the time. And of course, Julia’s sharpest disagreement occurred on the night of April 14, 1865, when she refused to go to the theater with the Lincolns. She and Grant later both called it her “freak,” and forever after described its ferocity and wondered at it source. Sadly for both of them, Nelly McClellan never appeared to disagree with any of McClellan’s thoughts or actions. DW: It’s easy to say that sincere love and the loyal support of wives are key elements in the success of “great men” throughout history, but, from your study of these four ladies in particular, what do you think is their most underappreciated role in the partnership? CSH: There are many underappreciated aspects to these women’s influence upon their husbands, but one of the most interesting to me was that that they all brought very special fathers to their marriages, men who played major roles in the lives and careers of their sons-in-law. Marrying into Thomas Hart Benton’s family gave John — born out of wedlock, no West Point credentials, and meager financial prospects — a legitimacy that he might never otherwise have achieved. Randolph Marcy, who would probably not have been McClellan’s chief of staff if he were not his father in law, was the perfect go-between for George with Lincoln, since Lincoln liked and admired General Marcy. Ellen Sherman’s powerful political father deftly supported and advised Sherman in his dual capacity as foster father and father-in-law all of his life. And Julia Grant’s father’s favor in this regard was the land that Dent had given Julia as a wedding present, where Grant hewed Hardscrabble out of the forest with his own hands. There, Grant worked in the fields alongside black men, and to Dent’s disgust, paid them more than the going rate for black laborers. In those fields, especially, Grant could take the honest measure of them – their capabilities and their humanity. From that experience, Grant learned that black men would work without a lash and deduced they would fight, too. Once Lincoln made the decision to arm black soldiers, Grant had less reluctance than many generals to place them into combat units. The lessons that Dent’s Southern lifestyle inadvertently imparted to Grant served Lincoln and the Nation well during the Civil War. DW: Thank you for your time! Is there anything else you’d like to mention before closing? CSH: My maps! No book about the Civil War is complete without maps, and the maps in my book are truly groundbreaking [ed. : they are nice]. I’m the first to map the travels of the wives during the war, and the results are astonishing. None of these women stayed in one place during the war. Their maps tell a new story of the Civil War, and tell you much about the marriages as well. Another of my favorite discoveries in eight years of research was how clever and funny and charming and enchanting all of these historical figures were, a little known side of their personalities that was most often revealed in their letters to each other. Who knew that Grant had a great streak of humor? McClellan could be humorously self-deprecating. Jessie is famous even today for her wit and charm. Julia pokes fun at herself time and again with tales of her disasters in the kitchen. The couples’ spirited banter in their correspondence gives us a real sense of their personalities. The generals come to life in their letters to the women they loved. 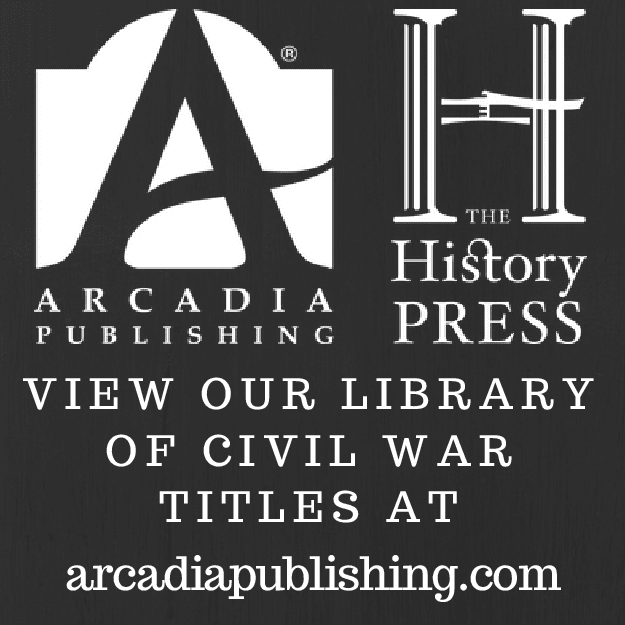 • The Civil War Siege of Jackson, Mississippi by Jim Woodrick (Arcadia Pub and The Hist Press, 2016). The Battle of Jackson that preceded Grant's capture of Vicksburg was not a great battle, nor was the Siege of Jackson a great siege on the order of those that had just occurred at Vicksburg and Port Hudson. The so-called Siege of Jackson was, however, the last great event of the Vicksburg Campaign. After a week long stand off in early July 1863 against a powerful Union expedition under William T. Sherman, Joe Johnston's Army of Relief evacuated the capital for the second time and the wrecked city came under federal control again (albeit briefly). Woodrick's book studies the military operation in some detail as well as the destruction visited upon Jackson, which was nicknamed "Chimneyville." Though compact, this is the first standalone book on the subject. 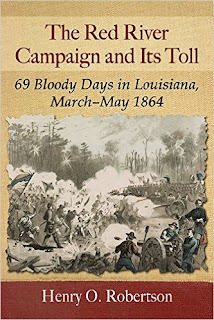 Robertson: "THE RED RIVER CAMPAIGN AND ITS TOLL: 69 Bloody Days in Louisiana, March - May 1864"
An exhaustive treatment of the 1864 Red River Campaign does not exist, nor have any book length studies of the operation's major battles at Mansfield and Pleasant Hill been published, but the overall topic has been far from ignored. Published in 1958 and still in print today, Ludwell Johnson's Red River Campaign: Politics and Cotton in the Civil War is the seminal work on the subject and remains a favorite among scholars and general readers alike. After a post-Johnson gap decades in length, a steady stream of scholarly and popular overviews emerged on the scene, among them works by Gary Joiner, William Brooksher, Michael Forsyth, Samuel Mitcham, and Curt Anders, all similar in breadth but of a decidedly mixed quality. This collection of compact overviews has become something of a staple of the secondary literature of the campaign, and one author (thankfully one of the best of the group) has published three books within the category! The newest entry in this line is Henry Robertson's The Red River Campaign and Its Toll: 69 Bloody Days in Louisiana, March - May 1864. While it continues the tradition of owing much to Johnson's pioneering work, Robertson's work has several notable aspects that set it apart from the others. Most broadly, the book has a social history focus that the others lack. Instead of simply repeating the work of Johnson and others on the larger political and economic origins of the campaign, Robertson delves much more into the slave economy and local politics of the Red River Valley before and during the Civil War, specifically Avoyelles, Caddo, Desoto, Natchitoches, Winn, Sabine, and Rapides parishes. The book summarizes the pre-war commercial development of the region while also documenting wartime disruption, from the ravages of guerrilla warfare to all manner of property seizure and loss, including most prominently the targeting of stored cotton by both Union and Confederate military authorities. While Breckinridge voters were a regional majority in 1860, Robertson's examination of parish election returns and other local records reveals a significant vein of Unionism and pro-slavery opposition to secession in these Cotton Belt parishes. Several prominent planters from the area would be tabbed for leading roles in the state reconstruction government that General Banks hoped to more fully establish upon a successful conclusion to the Red River operation. Another emphasis of the book is on the widespread property destruction that specifically followed vengeful Union forces, especially the indiscriminate burning and looting perpetrated by A.J. Smith's unrestrained veterans, who wrathfully targeted Confederate and pro-Union civilians alike in the aftermath of the army's frustrating general retreat after apparent victory at Pleasant Hill. The heavy destruction leveled against Alexandria during its occupation is well described, as are the post-war efforts (largely unsuccessful) of local Unionists and foreign citizens to receive compensation from the federal government's Claims Commission for their losses. The emancipating nature of the Union advance up the Red River is also featured in the book, with thousands of slaves (estimates of total numbers vary widely) leaving valley plantations and flocking to the federal banner. By their example, the presence of black units in Banks's army also encouraged the enlistment of many of these escaped slaves into U.S. ranks. The major military events of the campaign — the Union capture of Fort DeRussy, the near annihilation of the district's Confederate cavalry at Henderson Hill, the battles of Mansfield and Pleasant Hill, the Union escape at Cane River, the military interlude at Alexandria that witnessed the ingenious escape of the Union river fleet, and the concluding engagements at Mansura and Yellow Bayou — are dutifully recounted, albeit succinctly and in episodic, rather than blow-by-blow, fashion. Conventional in description and analysis, they are largely interesting for the many firsthand accounts integrated into the text, a good number of these not present in earlier narratives. In comparative terms with the rest of the overview literature, the book's account of the clash between opposing forces at Pleasant Grove (fought during the fluid pursuit phase after Mansfield and before Pleasant Hill) is the best of bunch. One of the most controversial turning points in the Louisiana phase of the campaign was General E.K. Smith's decision to divert the bulk of the victorious Confederate infantry to Arkansas, and Robertson (while offering no new arguments that might persuade those holding opposite views, like campaign historian Michael Forsyth and others) does not believe that their retention would have greatly affected the historical course of the Union army and navy's retreat. The Red River Campaign and Its Toll is recommended reading for every student of the 1864 Red River Campaign. While fresh insights into military events are few, many understudied aspects of the operation are accorded new emphasis and are well presented. With its strong backbone of archival sources, the book is also easily one of the best researched of the campaign's many overview histories that have been published. • Confederate Cabinet Departments and Secretaries by Dennis L. Peterson (McFarland, 2016). According to author Dennis Peterson, the last serious study of the Confederate cabinet was published way back in 1944, so we are overdue for an update of the scholarship. The first chapter discusses President Davis's secretary selection process. "Drawing on scholarship old and new," the roles and duties of each of the cabinet level departments (Justice, Treasury, War, Navy, Post Office, and State) are examined in turn, including the many bureaus and other subordinate organizations. Turnover at the top was common, and chapter length profiles of the eighteen men in total that would lead these departments at some time during the war are also included.